Since 1992 we offer one-stop guitar service. Guitar luthier and repairman since 1984. Development and processing of preamplifiers and pick-ups for acoustic instruments. Founder of Stevens Custom Guitars and Munich Repair Shop in 1992. 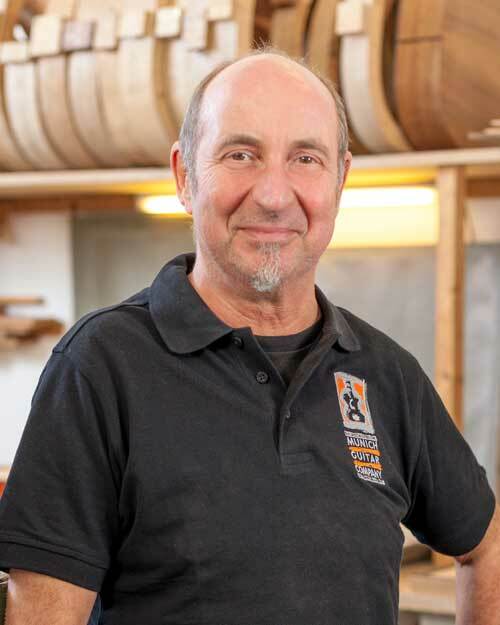 Werner is responsible for the acoustic instrument making department, marketing and finances. He completed his apprenticeship as best of state in 1986. For his masterpiece, a steel string guitar with cutaway, he was rewarded with the gold medal for best master of the year 1989. Stefan’s responsibilities are the repair workshop, the trading department and custom construction of electric instruments. Michael has served his apprenticeship in our repair and construction workshop in 2014-2015. Working as a trained carpenter he brings along 10 years of professional experience. 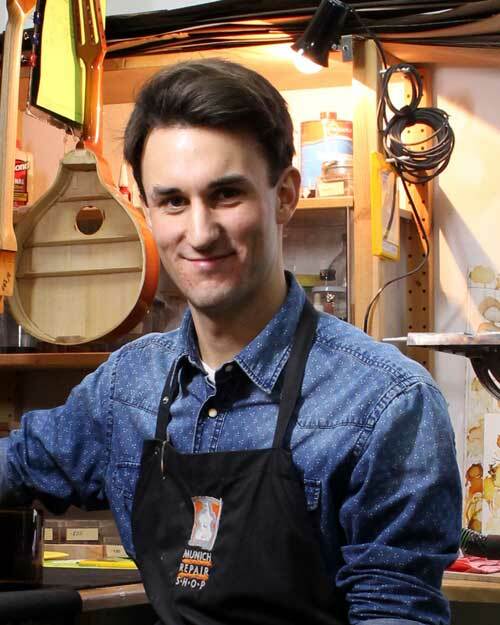 Since the successful passing of his final luthier exam he works for the Munich Repair Shop since 2016. Sebastian runs the shop and takes intense care of our customers. 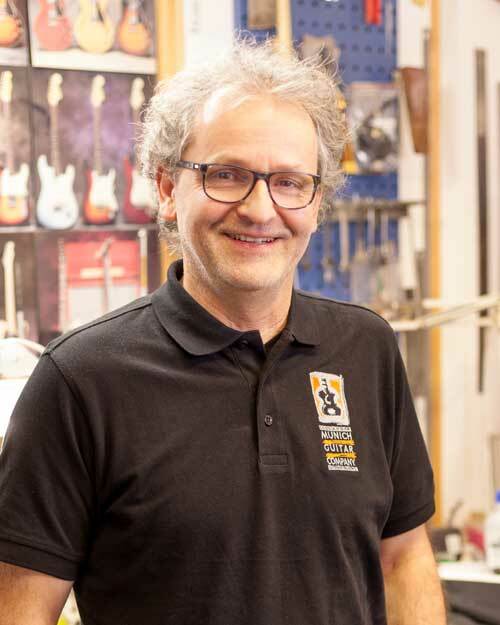 He is the man for qualified customer service for repair jobs, parts and our stock of guitars and equipment. 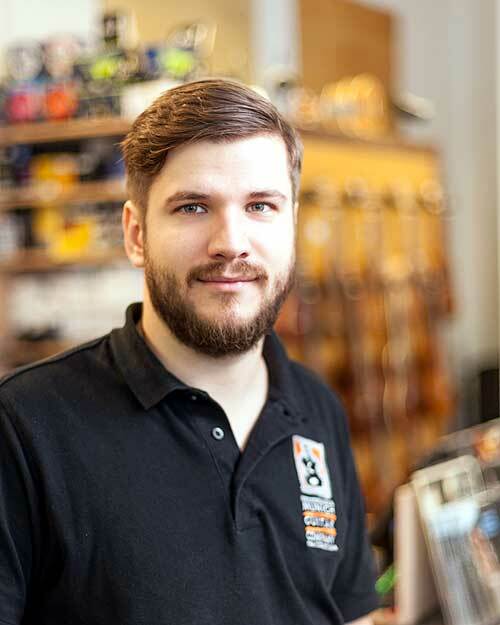 Sebastian completed his apprenticeship as merchant for musical equipment in Zwickau. 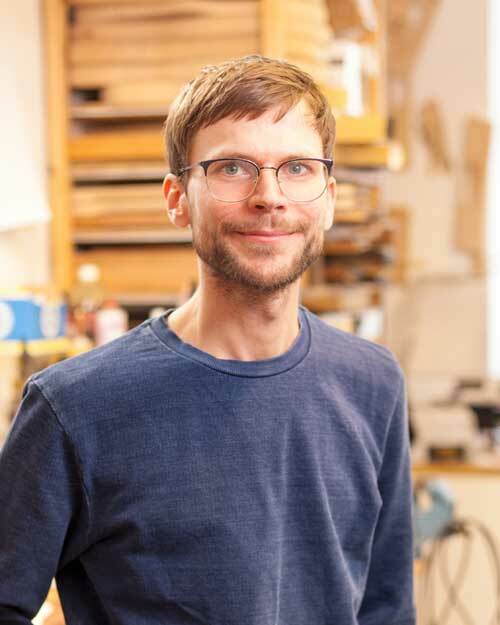 Tim has been training as a luthier with us since September 1st, 2017.He is a trained carpenter and also has a training as a music retailer. 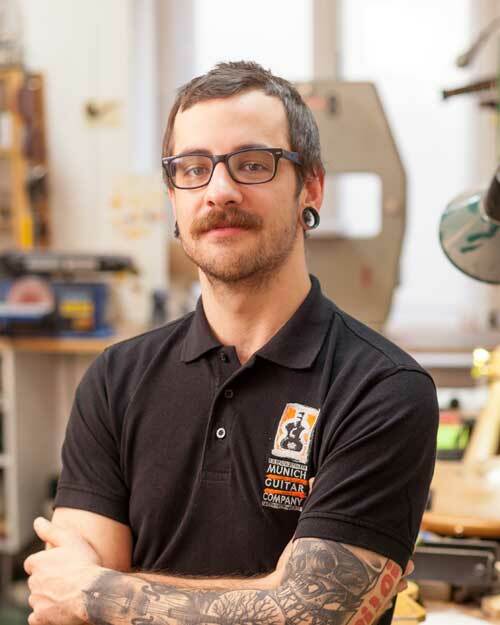 Leon has been training as a luthier with us since October 2018. He has previously trained as a music retailer in Berlin. classical, steel-string and electric guitars. Acoustic amplifiers, pickup systems and accessoires. We realize any possible modification to your instrument or its electronics. Selected guitars by several manufacturers and exquisite models by Stevens Custom Guitars. Acoustic and electric! Fine, traditional craftsmanship meets most modern techniques in the construction of outstanding stringed instruments.